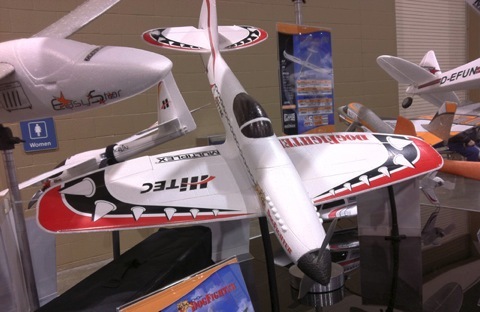 This past weekend we, that is to say the full Flitetest crew and I, attended the 57th annual Weak Signals RC Expo (also known as the Toledo Show). 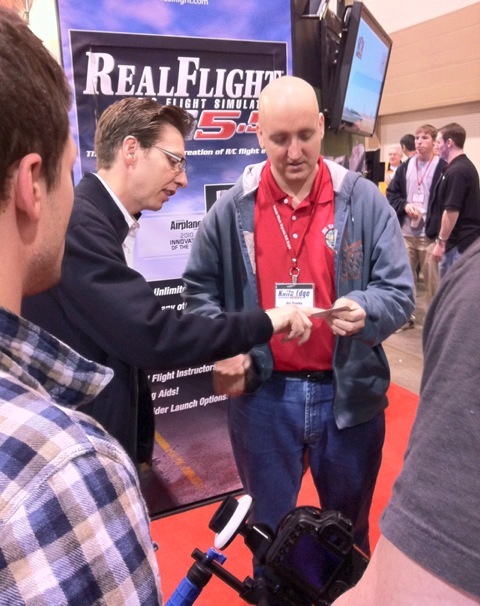 This was my first time meeting the Flitetest guys and what a great bunch! The atmosphere and dynamic of the group was so nice. We are going to have such a great time together. The Toledo show is huge! 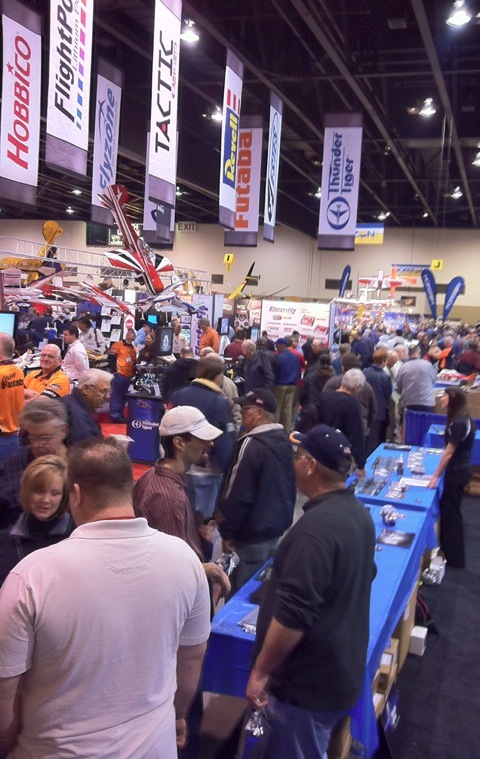 All big resellers and manufacturers were there, in fact there were over 200 exhibitors. And that is not counting the entire second floor that was jammed packed with swap shoppers. There were also RC themed symposiums going on all the time in the conference rooms. It’s the new Dogfighter and it looks so good! I want one. 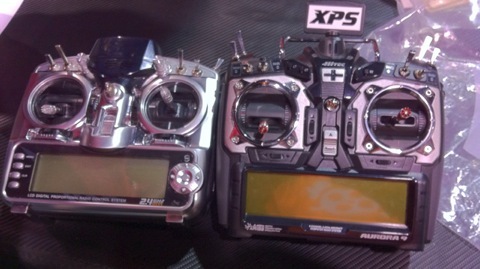 In the XPS booth I got to play with their new 16 channel super radio. I think it’s going to be an awesome radio. Here it is compared to the Aurora. Running down the middle of the main room was a row of low tables where anyone that wished to enter the ”modeling competition” could place their models for judging. 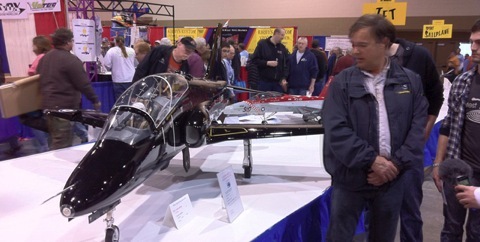 One of my favorites was this huge Bea Hawk turbine powered monster of a plane. We got to meet some very interesting people, like Jim Bourke, the founder of RCGroups.com. DJMoose, one of the hosts of the Allthingsthatfly podcast. Here he is next the the FLG Sandra. And Ben Fisher, the owner of 3D Hobby shop, who is a really cool guy. We also checked out the ETOC competition which was pretty cool. RJ Gritters freestyle was amazing! I like his style. If you want more pictures of the Toledo show I can recommend this and this thread on RCGroups, and for more pictures and videos from the ETOC I can recommend checking out this thread on RCGroups. Flitetest interviewed a lot of cool people and the videos from the show should be available soon. 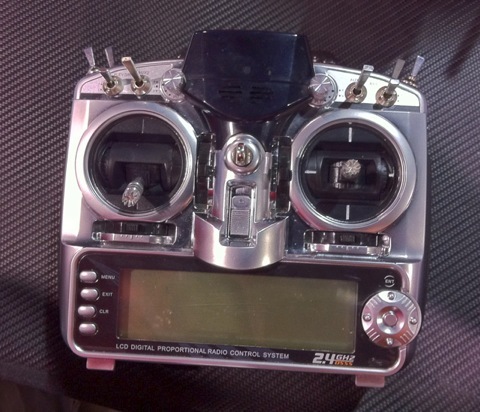 Just after the show I got to fly Josh Bixler’s Tricopter. Troubble is that I crashed it… 4 times. Hard. I’m looking forward to seeing that video. ← I’m in the US!